It’s out with the old and in with the new. Last week we featured some up and coming new trends in our blog post, but this week it’s all about what’s out! Goodbyes are always sad, but some of these old trends have got to go! Here are 5 home decor trends that, like a pesky house guest that can’t take a hint, have out stayed their welcome. Let’s face it, space is premium. In 2016 we saw furniture go from big to bigger, but those days are gone. 2017 is trending toward more space friendly sized sofas and chairs. 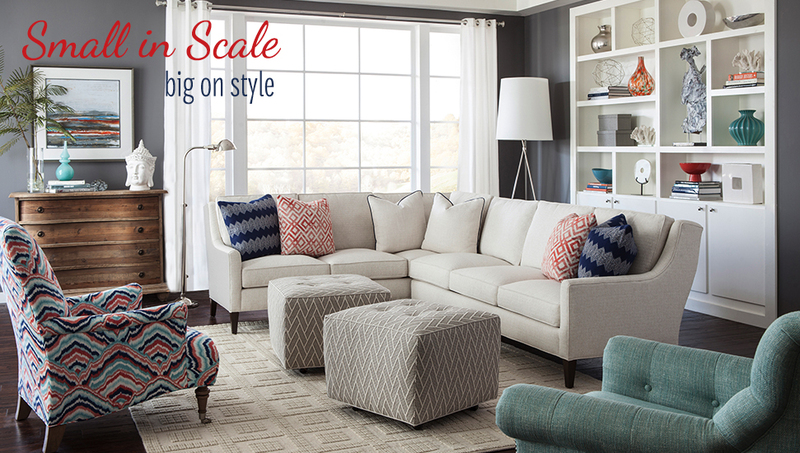 If you are looking for new furniture keep an eye out for stylish small scale pieces that won’t over power your space. Photograph Courtesy of Huntington House. Furniture and Fabrics Available At Saratoga Signature Interiors. Small scale doesn’t have to mean uncomfortable! Photograph Courtesy of Huntington House. Furniture and Fabrics Available At Saratoga Signature Interiors. 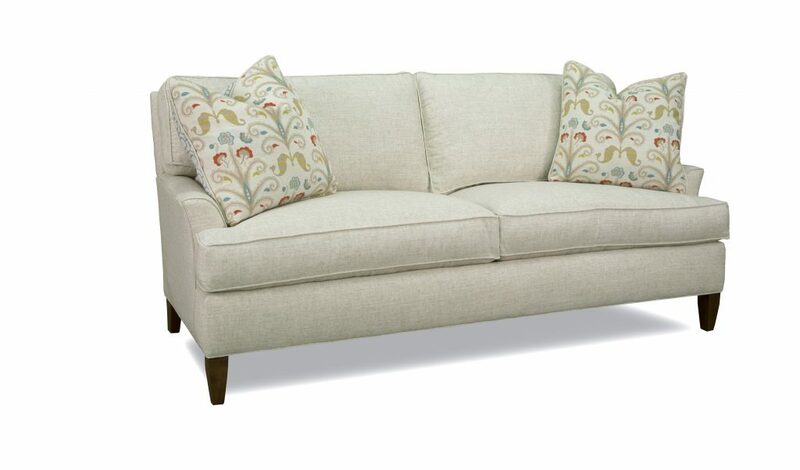 With customizable back, base and arm options this little beauty can fit into any room with ease. It can also be covered in tons of stylish fabrics and leathers! Goodbye and please don’t come back for a while! It seems like these are everywhere I look , and frankly I am bored. I guess I am not the only one feeling that way! Matte finishes seem to be taking over in a big way! The best part? They are fingerprint proof! The D.I.Y trend that suddenly popped up over night and took over the design show is over. No offence to your glue gun, but 2017 is the year of “quality over quantity” and people seem to be leaning more towards home accessories that are hand crafted by skilled professionals. So, put down your hot glue gun and pick up your check book! I am not telling you that you have to throw away all of last year’s D.I.Y. projects, but if you look around and see that your living area is being taken over by your creations, then you might want to think about tossing some of that out. Photograph Courtesy of Huntington House. Furniture and Fabrics Available At Saratoga Signature Interiors. Macrame is a form of textile-making using knotting rather than weaving or knitting. It was long crafted by sailors, especially in elaborate or ornamental knotting forms, to decorate anything from knife handles to bottles. This trend comes and it goes, we just hope that this time it stays gone forever, or at least in till the next Woodstock! Beautiful, but impractical. These bulbs are expensive costing any where from $10.00-$14.00 PER BULB! They also use up a lot more energy, put out a lot less light, and burn out a lot faster than more energy efficient bulbs. All of this makes for a big electricity bill! There is a reason why the light bulb has evolved since Edison first invented it. We saw an explosion of interest in Edison bulbs last year, but it seems like we now looking toward more Eco-friendly alternatives. We talk a lot about what’s trending and what’s not, but it is important to remember that if you love it, then it is always going to be trending in your home. When you set out to design your living space, you should always stay true to your own personal style, and not so much at what other people like. It is fun to look at the current styles of the year, and grab some inspiration from that but make sure it is a style that you truly love. stop by our show room or call us today!